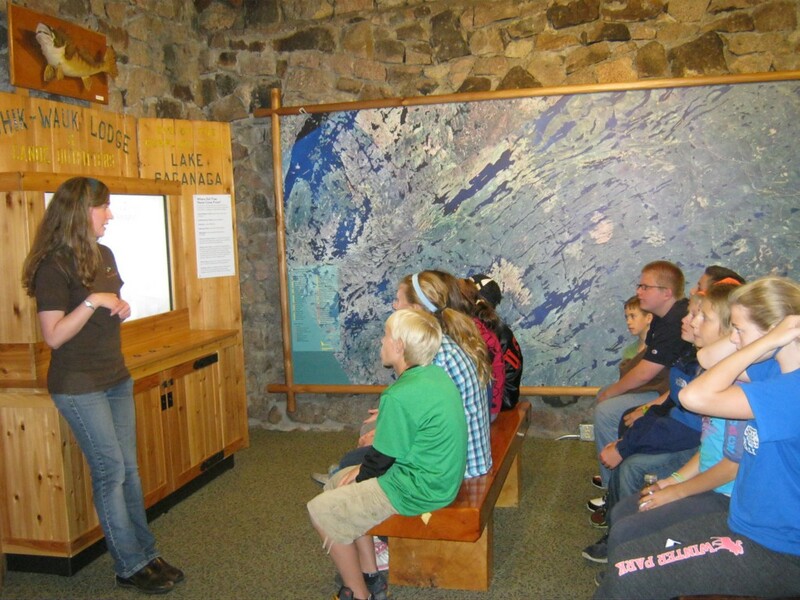 If you don’t know much about history then the perfect place to learn is at Chik-Wauk Museum and Nature Center. There is so much interesting information about the Gunflint Trail you couldn’t possibly discover it all in one visit and probably not in ten visits. There are videos to watch, books to read, displays to enjoy and volunteers who can tell you even more about the history of the area. Especially interesting to me is finding out where things used to be; railroads, CCC Camps, logging areas, mining spots and resorts. Just walking around Chik-Wauk and imagining it the way it was with all of the cabins is unreal in itself. There are many trails to hike too. One of the greatest things about Chik-Wauk is it is so close to Voyageur Canoe Outfitters. We can paddle, boat, walk, bike, drive or even swim there! It’s a perfect rainy day or any day activity and I hope you’ll check it out the next time you’re on the Gunflint Trail.